This has been a project about ten years in the making. I’ve always wanted to do a project with strings inspired by Charlie Parker, Cannonball Adderley, Johnny Hodges, Clifford Brown, etc. I started writing music specifically for this program as an educational component. I was teaching at a conservatory in the Netherlands, Prince Claus Conservatoire, and in one of my masterclasses I talked about how to extend the traditional jazz ensemble and I used strings to illustrate that. At the time, I had three arrangements that I had done and had a student string quartet perform with a “standard” quartet (saxophone, piano, bass, and drums). To me, the sound and texture transcended the traditional jazz setting of a quartet or quintet. Nobody thinks of strings in that sense, so it became a special project I wanted to expand. Thinking that these arrangements sounded pretty good, I came back to the states and wrote extensively with a goal of having a full evening of music for this ensemble. I toured with the material in Europe about 7-8 years ago to a great deal of success, so I came home again thinking, “Wow, I really need to do something with this.” I started meeting with people who really knew how to write for strings and understood my concept. I got this book of music together that was really strong - things that people love, jazz standards that is. So now, 10 years later having pulled all those things together into a really strong project that illustrates the possibilities of how a string quartet can not only accompany a group but walk side by side with a jazz quartet and create a full ensemble, much like a chamber ensemble. This project continues the work heroes started, while adding a more modern, contemporary sound while still maintaining the jazz components. The strings are not just playing whole notes and half notes, but are as intricate as the front horns. I think that there will be something in this for listeners and for educators. There’s a little bit of something in there for everyone. One of the difficulties was that the alto sax is kind of that mid-range sound, initially I was writing the strings in the same register. When I conferred with other people who were string writers, they said one way to enhance the color is to put the strings in octaves. I kept one of the violins in the range with the saxophone while the other was an octave above. I placed the violas a sixth above and the cello sometimes was in the middle of the viola and violins or sometimes complementing the bass. What I found was that voicing them like that really made the sound of the strings big. It sounded like it was more than four voices. It just made the overall sound a lot bigger than it was. To students who are looking to do this, really study how to write for strings. I’m still learning how to do this. Think about how to double the first and second violins, as this can make the group sound really big. There are many good orchestration books to review by the likes of Nelson Riddle, Don Sebesky and even Rimsky-Korsakov. Study what the masters have done and experiment! I’m old school, I just sat in a room for many, many days and months listening to orchestral pieces and reading books. I’m a fan of Brahms, I love the way that Brahms wrote – he has a very warm orchestral sound with very dense textures. I also listened to a lot of Beethoven and Stravinsky. Stravinsky, for me, really understood how to have violins play difficult lines, but not get in the way of a single melody that might be important. One of my favorite pieces is the “Firebird Suite” where he has all this rhythmic and complex strings, but then you hear the flutes with this single line melody. It’s so impactful. Jazz-wise I listened to a lot of Duke Ellington’s orchestral pieces (“Sacred Concert” being one). This was to get more of a jazz perspective, not to limit Duke Ellington to just jazz, but get perspectives from someone who did it all. A lot of listening is important. I did the recording in stages. I worked with the same people in my band that I’ve been working with for a while. For anyone who is looking to record, take the opportunity to really learn the music and perform it in clubs, libraries, wherever you can perform. Perform the music. When you do, it takes on another life than just notes on paper. We did quite a lot of performances before going in the studio. When we did get into the studio, I started with just the quintet to get good isolation for what that core was. Then later I came back and recorded the strings. When we put it all together it sounded like it was just one session, which in any recording project is ideal. It’s important to get in touch with your fan base, whether it be 5 people of 5000 people, on social media or during performances. Talking directly with your consumers is important because they know when you’re being sincere and when you’re not and that real feedback will help you with your music. After all, music is communication and that’s your goal. Step out of the music scene and just talk with people. Don’t look to putting out a project just for the sake of putting out a project. Everything comes in its own time and due course. For me, having been in the business for a long time, it’s taken me a long time for me to record. I studied a lot of music and I studied people. You have to first master what it is that you’re doing and not think of the prize of it. For me, to record is a luxury, but the core of it all is having the skill set on the instrument. Study as much as you can; that means privately and alone. Learn how to read music and the basics like a developing a good sound and technique. Understand the form of a song and have an extensive vocabulary not only of the repertoire, but of improvisational skills. Transcribe until you understand the idea and the concept of the performer and how they think. Read books, watch videos, study your instrument. Go through years and years of study so your reward is a mastery level of skill that you can effectively communicate to your listeners. 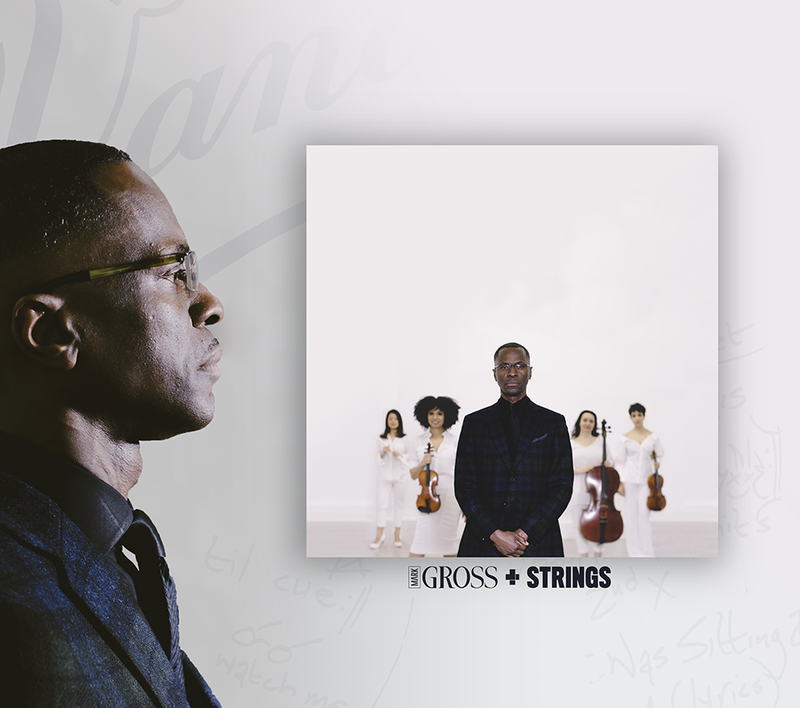 Hear Mark Gross’ new project titled Mark Gross and Strings. Available at iTunes and CD Baby, Amazon, Spotify, Pandora and all digital formats. Like what you read? 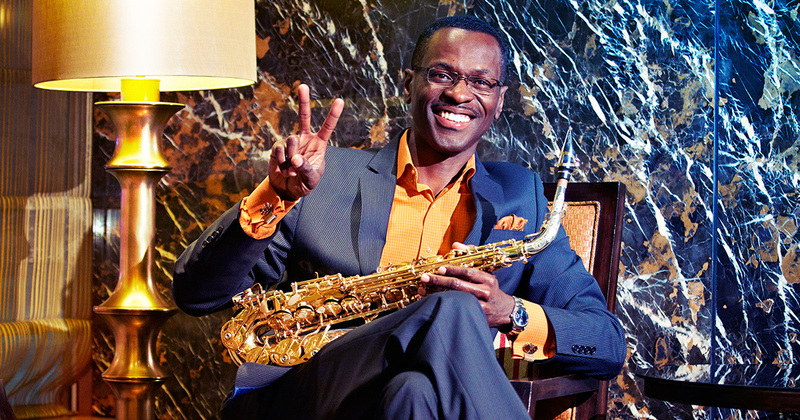 Signup for our WAVE e-newsletter where saxophone and clarinetists can get 4 weekly articles.